“The Centre’s focused on fostering collaboration by housing these like minded tech companies in the same place,” Burley adds. 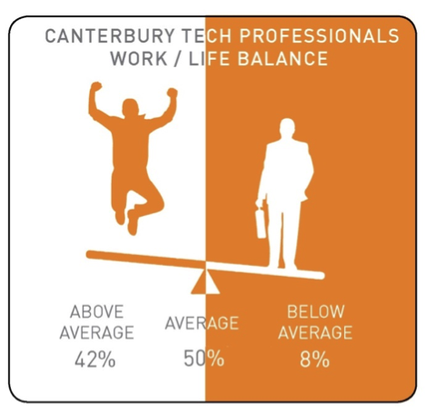 According to Burley, 42 percent of tech professionals in Canterbury believe their work-life balance is above average, the highest in New Zealand and a further 50 percent state average, this illustrates the unique working environment Christchurch city and the wider Canterbury region could offer you. Burley says New Zealand tech employers are also becoming renowned for offering “some pretty cool workplace environments” and placing a huge amount on energy into creating a positive and fun workplace culture – and Christchurch is no exception. 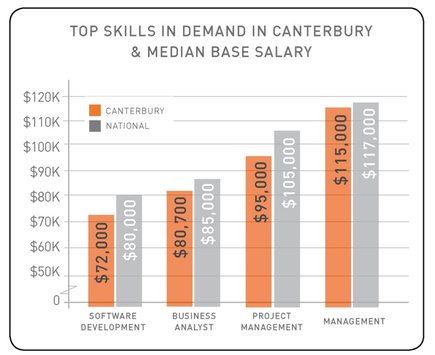 Burley says that Canterbury IT employers are placing an increasing focus on giving their staff the workplace flexibility they’ve been asking for. 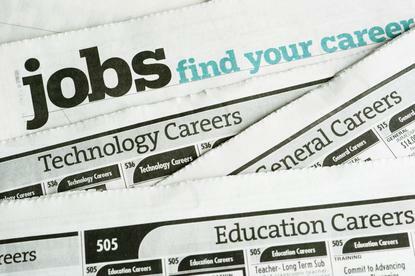 “We’re seeing employers give their staff the flexibility to complete their work between anywhere between the hours of 7am – 7pm,” he adds. 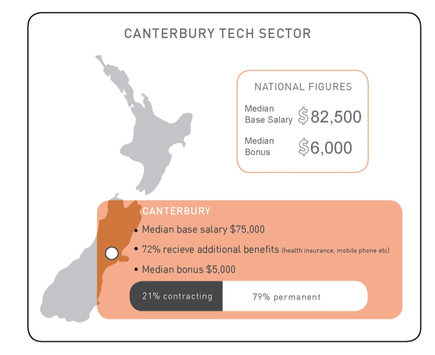 “Local tech employers are amping up their pay packages with added extras like health insurance, additional leave, mobile phone allowances and paid training,” he adds. As Burley also points out, Christchurch is home to many global leaders in IT business, including Jade Software, Tait Communications and Telogis.